Godachi is a small village in the Ramdurg Taluq of Karnataka. This place is located in the Belgaum district and it has many beautiful temples including the Shri Veerabhadra temple. A famous fair is held here every year. 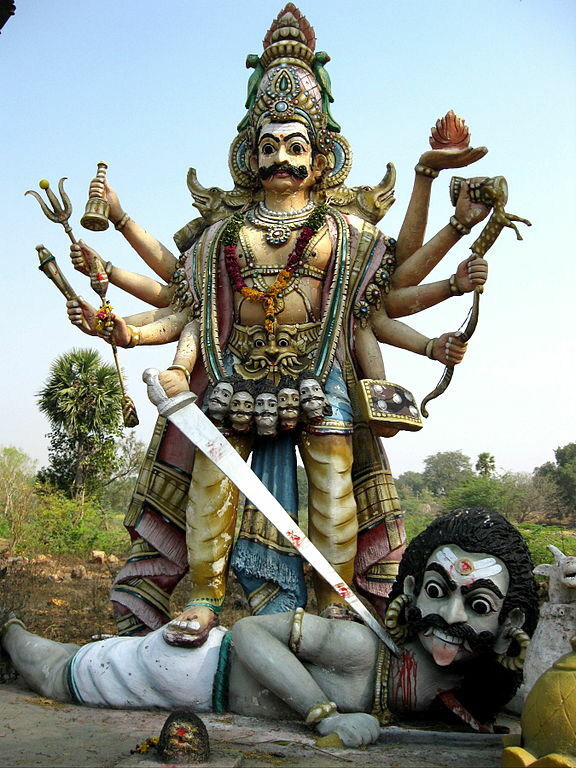 Veerabhadra was created by Lord Shiva to destroy Daksha’s Yagna. The Veerabhadra temple is a in a combined style of Chalukya and Vijayanagara Architecture. The doorway is built in the Chalukyan style, while the Garbhagraha or the sanctum reflects Vijayanagara Style of temple building. Godachi is 12 km away from the Taluq headquarters Ramdurg. The nearest railway station to Ramdurg is the Badami railway station. Godachi Jatre or fair is held in November or December, during the month of Karthik in the Hindu calendar. Traditionally, temple festivals and fairs in India have not only been religious celebrations, they also served as social and commercial gatherings and Godachi Jatre is also one such occasion.